Patuxent River Appreciation Days, Inc. is pleased to announce the opening of the 2015 grant round. Non-profit organizations that provide educational programs about the Patuxent River or conduct research activities in and around the Patuxent River or Patuxent River Basin are eligible to apply. There were two grant recipients in 2014. 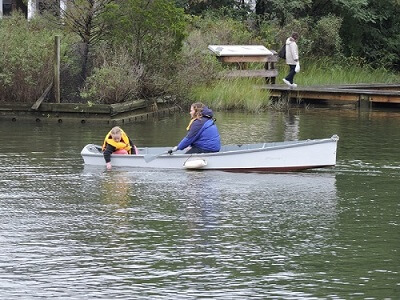 Our Lady Star of the Sea received a $1,000 grant for their Bay Studies Program, which provides children access to understanding and learning about the Chesapeake Bay Watershed with specific emphasis on the Patuxent River. 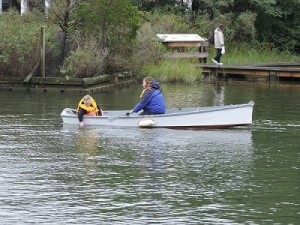 The Calvert Marine Museum received a grant to assist in financing the newly renovated River to Bay: Reflections and Connections Exhibit. This Aquarium Exhibit is an immerse experience where visitors see the amazing diversity of animal life found in the Chesapeake Bay and the Patuxent River. Awards are made on a competitive basis by the P.R.A.D., Inc. Board of up to $1,000 per organization in any one calendar year. The P.R.A.D., Inc. Board includes members of the Calvert Marine Museum, the Pa-Po-Peake Shrine Club, The Calvert Artists Guild, The American Legion Arick L. Lore Post, and the Calvert County Waterman’s Association.